Planning a group outing for spring? Our PGA Professionals can help you host successful tournaments and fundraisers, from small gatherings to large corporate outings. Events can be customized to fit all budgets as well. 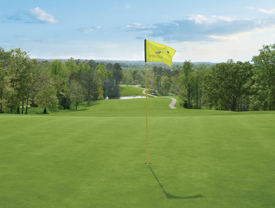 Georgia State Park Golf Courses provide food and beverage service, tee signs and prizes, hole-in-one competitions, accommodations and more. Choose from eight courses across the state. 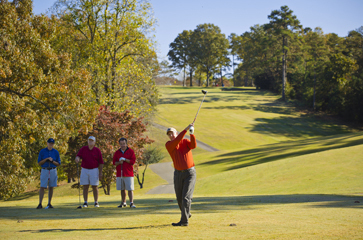 Cooler weather brings hot deals to two Georgia state park golf courses. 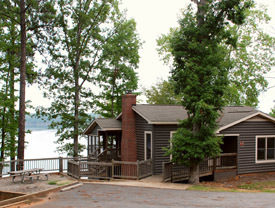 Pay just $130 per person and you’ll get two nights in a cozy cabin and two rounds of golf with cart. Two-night minimum and four people required. Call 706-283-6000 (Arrowhead Pointe at Richard B. Russell State Park) or 706-557-3006 (The Creek at Hard Labor Creek State Park). Offer valid through February and no other discounts apply.